A couple of days ago, my wife came in to the kitchen and said, “You won’t believe it, but there is someone at the door that wants to give us an estimate on our repairs.”You see, since settling back into our North Atlanta home months ago, I’ve known that we needed to replace a few exterior doors and shutters…but hadn’t addressed it yet. I shared that we needed “three doors, and some shutters replaced immediately.”One of the men replied, “That’s not a problem, we can make that happen,” but then began dialing on his cell phone. We learned he had to coordinate with the dispatcher, who would schedule someone else (A bit deceiving as we thought these two would do the estimate) to come out and provide the estimate. The man asked my wife and I, “Are you available tomorrow? It should only take about 30 minutes for our guys to measure everything up and give you the numbers.” Although I was disappointed, because I thought it was going to happen right then, I had an open hour the next day and we agreed on the time. As we toured the outside of the house, one of the men accidently kicked a landscaping light, breaking it in the process. It was a solar model, which isn’t expensive and can easily be replaced, but unfortunately he didn’t make that offer. (Which made me question him, and how their crews might behave) You could tell he was embarrassed, and he did apologize, but as you can see in the picture, he simply left it lay and carried on. Unfortunately, many companies just play the odds, utilizing a burn and turn mentality, which hurts the overall industry and continues to give a bad name to salespeople. That might not be their strategy, but it definitely leaves me wondering by their lack of follow up. The bottom line is, if they had set the right expectations from the beginning, stepped up and rectified the light issue, listened to our needs and provided the correct quote, there’s no question in our minds we’d have done business. With a little coaching and flexibility, it could have been a win-win situation. Instead, someone else will end up selling us doors and shutters. 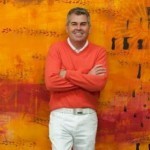 In 2010 Duane Cummings founded The Sensational Group, the parent company for Sensational Literature LLC and a host of other companies and partnerships. He is currently the Chief Executive Officer at Leadercast and previously he was the Chief Operating Officer of EFS and the General Manager of the Oklahoma City Slickers professional soccer team. Follow Duane on Twitter and LinkedIn.